For several years now, the Ohioana Quarterly has benefited from the help of a special group of reviewers: students at the Columbus School for Girls. The girls at CSG have provided their unique insights and kid-focused opinions to give us some much-appreciated reviews of all kinds of books. We also appreciate the work of their teachers, Charlotte Stiverson and Tracy Kessler, who help pair the books with the reviewers and provide direction. It’s a true win-win for all! Charlotte is also an author, and you can find her book, Nellie’s Walk, at Amazon.com as well as other stores where books are sold. 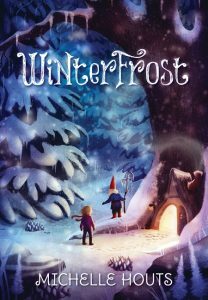 Winterfrost by Michelle Houts is a Danish fantasy book about a 12-year-old girl named Bettina and her baby sister Pia. It is an average Christmas on the Larsen family farm when they suddenly find out that their mormor (grandma) had hurt her hip and was in the hospital. Their dad is visiting their uncle and their mom needs to go to the hospital for their mormor so the kids are home alone for about a week. In all the commotion, they forget to put out the traditional rice pudding for their nisse (which are like elves or gnomes). Their nisse, Klarkke, gets upset and makes some mischief around the barn. That day when Bettina puts baby Pia outside to nap and get some fresh air something terrible happens. Klarkke takes baby Pia! He takes her to his Uncle Gammel’s house and leaves her at the bottom of the tree were his house is. While Klarkke is inside talking to his uncle, a wayward nisse comes along and takes Pia with him. Will Bettina be able to go on the adventure to get her baby sister before her parents get home? Read the book to find out. 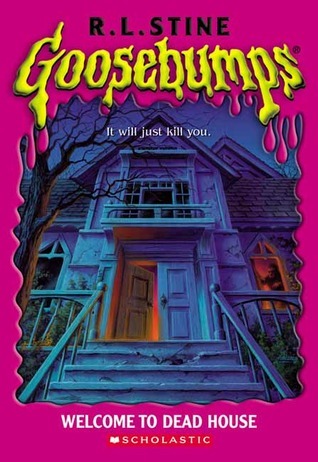 The book was interesting and well written. It could be very suspenseful at some points. Winterfrost has some tough vocabulary and Danish sayings like mormor (grandma), mor (mom), farfar(grandpa), far(dad), and Danish songs that can be hard to understand. I would recommend this book to kids fourthgrade and older. This was a really interesting book. Reviewed by Katherine Niven, Mrs. Kessler’s class, Columbus School for Girls. Kennedy, Anne Vittur. The Farmer’s Away! Baa! Neigh! Candlewick Press (Somerville MA) 2014 HB $15.99. 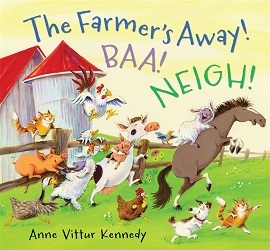 The Farmer’s Away is a book written by Anne Vittur Kennedy. The Farmer’s Away is a silly, fun book about animals who can’t wait until their farmer leaves so that they can do some things you normally wouldn’t see an animal do, such as water skiing an having a picnic. In this book, the animals put clothing on together and they laugh and giggle. However, when the farmer returns, all of the animals run back to their stalls and throw off their clothes so that the farmer will never know what kind of day they had. I think that this book would be good for children ages 3-5 because the pictures are bright, and the words are easy to read, and you can really get what is going on. This book is good for kids who like farm animals, and I hope that sometime you will be able to sit down and enjoy the book! Book review by Sammy Kleinman, in Ms. Kessler’s fourth grade class, at Columbus School for Girls. 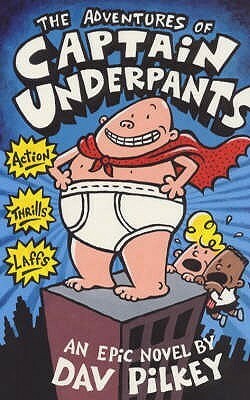 Ohioan Dav Pilkey appears twice on the American Library Association’s list of Top 100 Banned/Challenged Books: 2000-2009: at #13 for his Captain Underpants series, and again at #47 for The Adventures of Super Diaper Baby. 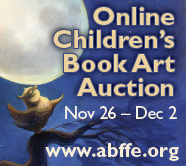 Captain Underpants is also listed at #1 on the ALA’s Top Ten Challenged Books of 2012. Pilkey was born and raised near Cleveland, Ohio. In elementary school he was diagnosed with ADHD and dyslexia; he first created the Captain Underpants character during “time outs” in the school hallway. Although Pilkey’s teachers throughout elementary and high school discouraged his drawing, one of his college professors saw his work and encouraged him to try writing children’s books. His first book was published in 1987. Pilkey’s book The Paperboy was a Caldecott Honor book; The Adventures of Super Diaper Baby debuted at #1 on the New York Times bestseller list. He was recently selected to illustrate a picture book version of “One Today,” a poem written by Richard Blanco and read at President Obama’s 2013 inauguration.